Our family venture began when Lisa and Lothar Maier purchased a 20 acre vineyard located on Kalthoff Commons in the southwest corner of the Livermore Valley in January 2006. We decided that the existing vineyard was not up to our standards. That year, we pulled the existing vines and tilled the soil so as to break the hardpan barrier that resides below the surface of this region. We then planted small parcels in different clones of Cabernet Sauvignon, Malbec, Petite Verdot, Tempranillo, Barbera, Petite Sirah and Chardonnay. Our labor of love began in earnest. With our passion and efforts devoted to the vines, we believed that the name of our winery and vineyard needed to be true to the rich heritage of the Livermore Valley. Thus, we began to search through local history books and maps to find the perfect inspirational name for our endeavor. In our research, we learned that Robert Livermore named his original 40,000 acre property Rancho Las Positas because of the many streams and watering holes that coursed through the land. 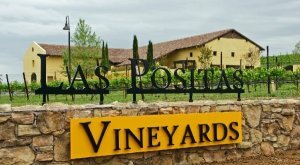 Las Positas Vineyards is a family winery that produces small lots of estate grown wines with unique character and exceptional quality. 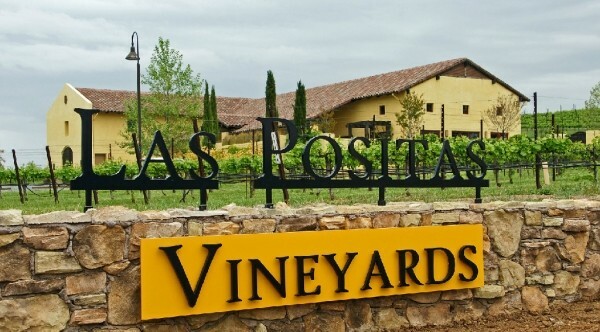 Visit us and enjoy our wines while enjoying spectacular vineyard vista views.